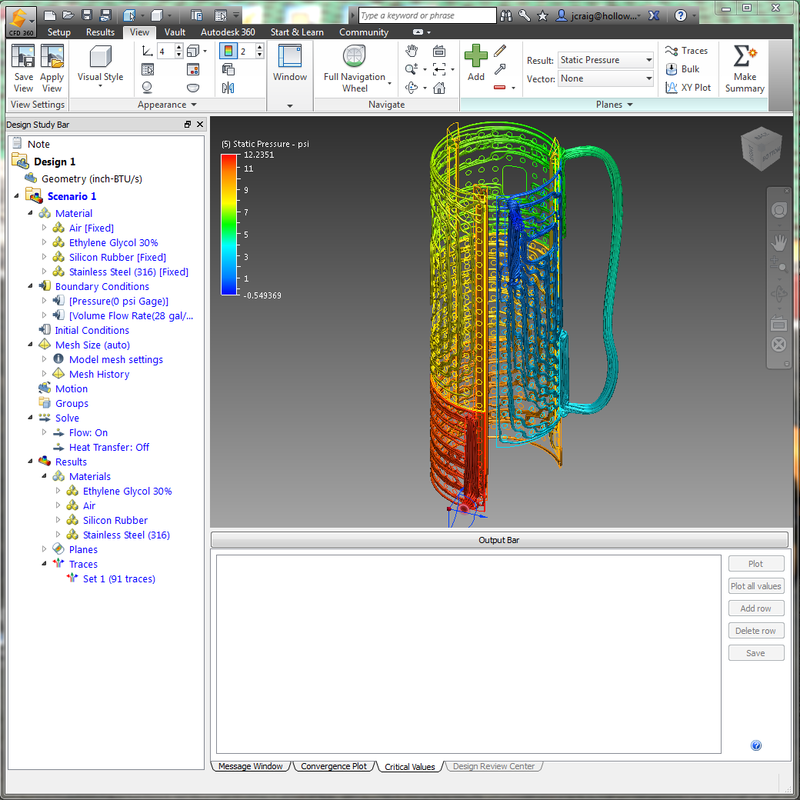 HOLLOWAY Engineers use several types of software to verify equipment designs. 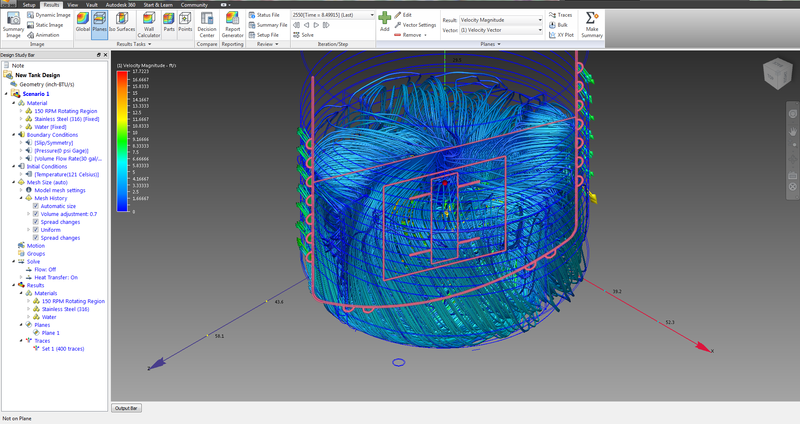 ASME Code Calculations are performed in Compress to verify that stresses are within the limits specified in Section VIII, Division I. Heat transfer calculation are performed using two In-House Programs which determine the required area of the heat transfer jackets to assure the heating and cooling requirements can be achieved. 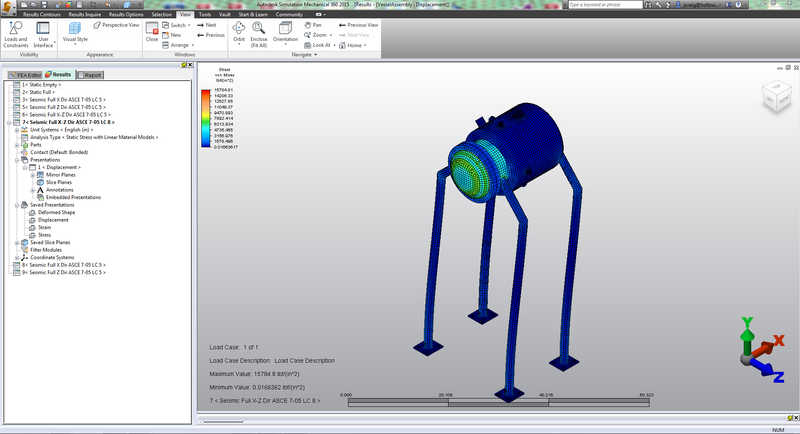 Pressure drop calculations are also performed on this software. 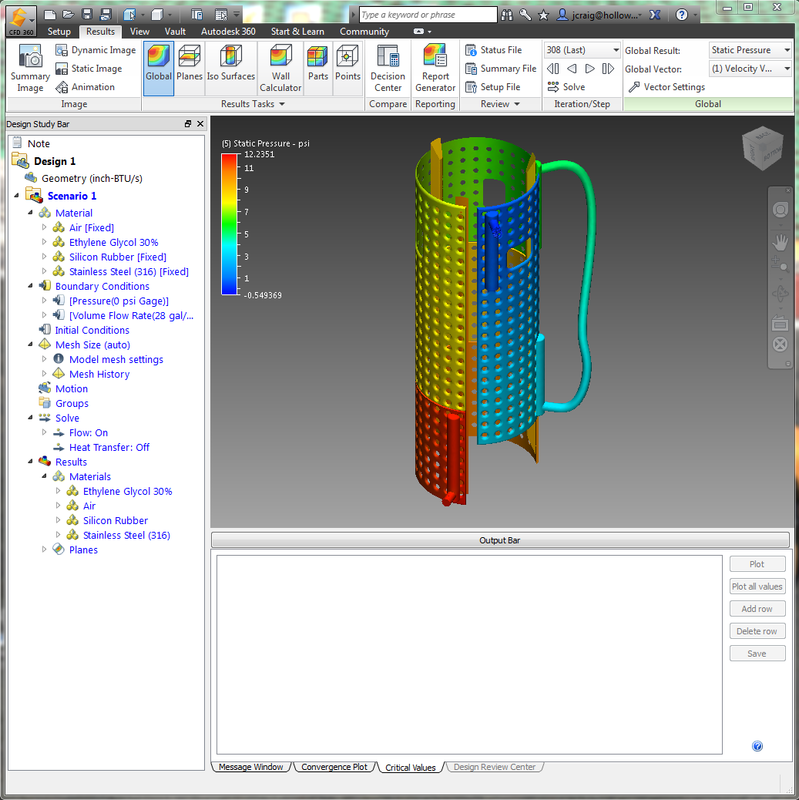 Finite Element Analysis (FEA) is a computerized method for predicting results from a complex scenario. The scenario will determine how a piece of equipment – single part or assembly – will react to stress, temperature, fatigue and other physical effects. It’s a method to predict how the equipment will react to real-world loads. Computational Fluid Dynamics (CFD) predicts fluid flows and heat transfer through a specified geometry. 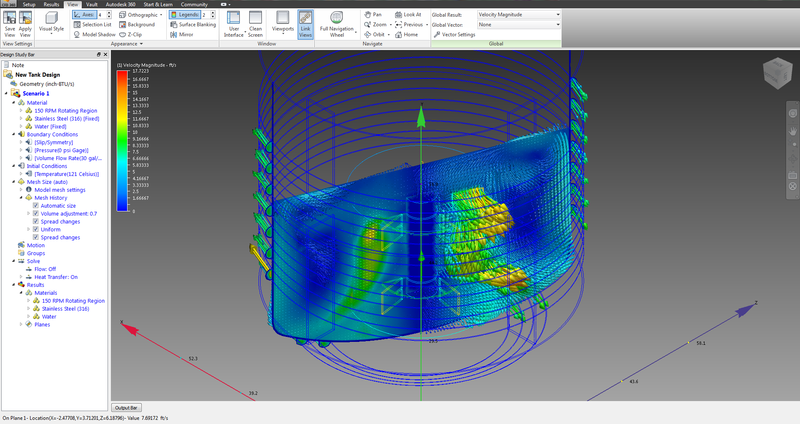 Examples of CFD problems can be specialized heat transfer jacket problems and visualizing agitator mixing action. 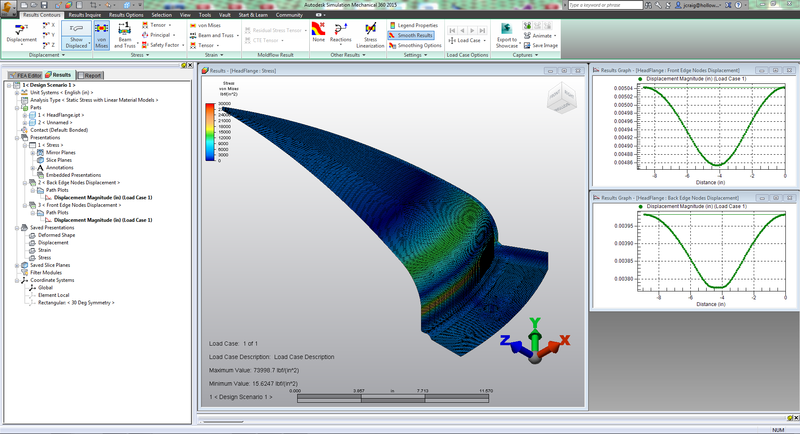 Temperature, pressure and force results from Simulation CFD can be applied to Simulation Mechanical to determine stress and displacement results on components containing the fluid flow.